Dubai Sherpas are out to bring you the lowdown on the metro - for starters, how to buy tickets to get from A to B (but definitely not as the crow flies). The great addition of the Dubai Metro to the public transport has proved a success with over 12m people using the Dubai Metro in August 2014. The Dubai Tram system will be incorporated into the public transport system in a month or so which will help those living and working in the Dubai Marina/JBR/JLT areas of Dubai. Once it’s up and running we’ll write an article about the Dubai Tram. Dubai Metro changed the hours of its service yesterday (15th October 2014). It now starts at 13.00h on Fridays (an hour earlier than before) with the last journey at midnight. 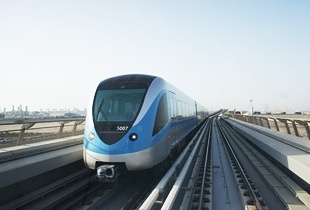 On a Thursday the Dubai Metro service will run until midnight. On Saturdays through to Wednesdays the service hours will be 06.00h until 23.00h and on Thursdays 06.00h until 01.00h. The waiting times should be around 20 seconds – fabulous! The Dubai Metro will link with the Dubai Tram and the Palm Jumeirah mono-rail as well as having timed connections with the Dubai bus service. The new timings will come into place on October 15 to coincide with the opening of five new Red Line stations: Nakheel, Jumeirah Lakes Towers, Sharaf DG, First Gulf Bank and Business Bay.